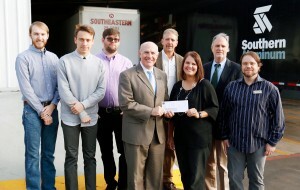 The Department of Art and Design at Southern Arkansas University is benefiting from a $5,000 investment made by Southern Aluminum of Magnolia. This marks the sixth grant provided by Southern Aluminum to SAU Art and Design, and investments totaling $25,000 over the last four years. This grant will be used to purchase an oversized color laser printer and an additional black-and-white laser printer for the department. In the design field, there is a constant need to have projects printed out for editing purposes and for formal presentations. Previous grants have allowed the Department to update and purchase additional software licenses while also expanding and updating its 35-station computer lab. 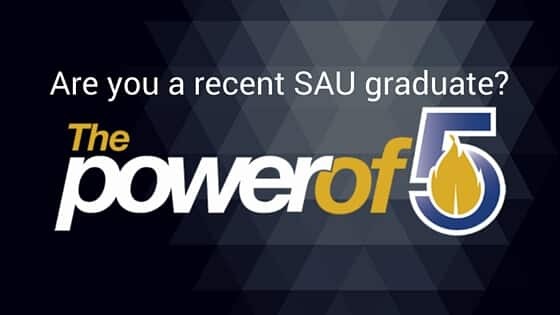 SAU’s Department of Art and Design is evolving to take graphic design to the next level. Although graphic design implies print, the idea of design and what is being taught at SAU embraces far more.